Brrr.. warm yourself up with a hot drink in one of our Eco Friendly Travel Mugs! 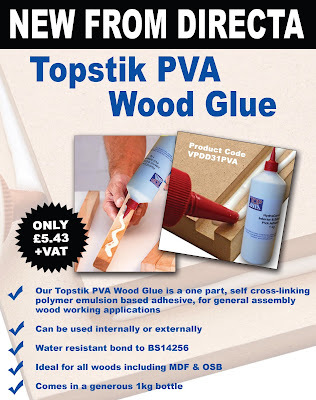 NEW FROM DIRECTA: Topstik PVA Wood Glue. For internal and external use. The adhesive can be used for both hot and cold pressing applications, with either veneer or laminate as the surface cover. Visit directa.co.uk to purchase yours today!